As you begin the design process, you’ll need to consider the type of event or ceremony for which you are selecting a trophy. Your personalized award should reflect the casual or formal nature of the occasion, the age of the awardees, and how you would like the trophy to reflect your sentiments. Trophies can be customized to convey a variety of thoughts or feelings, such as gratitude, pride, encouragement, remembrance, and recognition. Once at the trophy store, you’ll find that you have an extensive inventory of trophy and award styles from which to choose. These awards can be in the form of athletic trophies, cup or bowl trophies, and plaques. Each of these items can be engraved with the message of your choice, as well as the recipient’s name and the achievement that it reflects. Trophies are typically available in bronze and resin, and plaques can be made from crystal, glass, or acrylic. 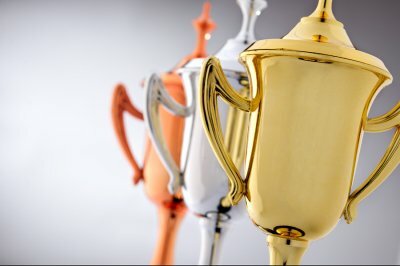 To decide on the particular trophy that you’d like to design, you should consider the reason for the award, the way in which it will be presented, and how you’d like the item to be displayed by the recipient. Personalized trophies and awards can double as office décor or desk accessories and recognitions of achievement. The material cost will be a significant factor in your trophy or award choice. Bronze trophies and crystal plaques are ideal for large or formal events, but will be more expensive than other options. Resin can have a similar appearance to bronze metal is a popular and more cost-effective alternative. To achieve a formal appearance without the cost of crystal, glass and acrylic are excellent replacements.